Dr Daniel MacTavish Baker, son of Wesley Baker and Mary MacTavish, was born September 24 1886 in Sydenham Township Grey County, Ontario. Daniel attended public school and collegiate in Owen Sound and then Queen's University in Kingston to study Medicine. He served overseas in World War 1 after world War 1 he moved to Keewatin in 1920 to practice medicine. He served as Medical Health Officer for Keewatin for 25 years. He also served as Lake of the Woods Milling Company. In August 5 1925 he married Edna Winnifred Curry. Dr Irwin Baker, son of Issac Baker and Nancy Hall was born in South Dorchester Township, Elgin, Ontario in 1850. He attended Springfield public and Aylmer High Schools before going to teach in country schools for a number of years. He the attended Trinity College Medical School in Toronto and then interned at the Toronto General Hospital for a year. He then went i9nto partnership with Dr. W. J. Beatty in Keewatin for twenty years. He then retired to St. Thomas where he died on February 20 1939. Raymond George Baker b. February 26 1931 Kenora m. Grace Hodgson July 26 1957 Winnipeg. Raymond George Baker, son of John Ebers Baker and Evelyn Mae Paul, was born in Kenora on February 25, 1931, the second of six children. He spent five years in the RCAF, worked for 32 years in the Kenora Paper Mill and was also employed at both Ontario Central Airway and Kuby's Aircraft. He served as a Missionary in Thailand for four years and then represented OMF (Oversees Missionary Fellowship) in Northwestern Ontario. He married Grace Hodgson in Winnipeg on July 6, 1957. His main interests were flight, faith and family. He was also very interested in sailing, cross country skiing, canoe trips, and Ancestor Seekers of Kenora. He was an active member of the First Baptist Church for over 60 years, volunteered at Longbow Bible Camp, the Gideons, and the Kenora Library. Ray was a founding member and executive of the Kenora Flying Club, and founding member of the Lake of the Woods Aero Modelers Club where for many years he mentored new members as well as helping build models with troubled youth at Muriel Lake. Ray passed away January 26, 2016 at home after a short but valiant battle with cancer. Raymond George Baker, son of Ray was predeceased by his parents John Ebers Baker and Evelyn Mae Paul - February 25, 1931 - January 26, 2016 Ray Baker passed away at home surrounded by his loving family after a short but valiant battle with cancer. Raymond was born in Kenora Ontario, the second of six children. He married Grace Hodgson in Winnipeg on July 6, 1957. Ray is lovingly remembered by his wife Grace of 58 years, children Brenda (Tim) Noble and family and Joanne Woilford (Kevin Stieh) and family, sisters Dolores Wise and Darlene Massey, brothers Bob Baker and John Baker and their families as well as numerous other family members and close friends. , sister Florence Parnell, brothers-in-law Buddy Parnell, Al Massey and Doug Wise, and son-in-law Luke Woilford. His main interests were flight, faith and family. He spent five years in the RCAF, worked for 32 years in the Kenora Paper Mill and was also employed at both OCA and Kuby's Aircraft. He served as a Missionary in Thailand for four years and then represented OMF in Northwestern Ontario. He was also very interested in sailing, cross country skiing, canoe trips, and Ancestor Seekers of Kenora. He was an active member of the First Baptist Church for over 60 years, volunteered at Longbow Bible Camp, the Gideons, and the Kenora Library. Ray was a founding member and executive of the Kenora Flying Club, and founding member of the Lake of the Woods Aero Modelers Club where for many years he mentored new members as well as helping build models with troubled youth at Muriel Lake. Ronald Baker, son of William and Elizabeth Baker, was born in Keewatin, Ontario. He had two brothers Dennis and brother Desmond and two sisters Doreen and Sheilah. He married Ann Marshalok in 1950 and they built a home in Norman. He had two sons Rick (Monica) and Wayne (Colleen), and two daughters Loanne and Ronalee. He also had grandchildren Bryson, Jody, Jordan, Alissa, Shane, Mandy, Laralee, Lexi, Jayme, Sheyanne, and Kaylee. He worked on the Canadian Pacific Railway for 42 years retiring as a conductor on the Via passenger train. He worked to establish and operate the Railway Museum in Norman and after retirement, he devoted much of his time to ensure visitors enjoy the Museum. He valued his friendship with fellow retirees and the members of the model railroad group. He loved to fish. He played hockey and baseball with Keewatin and Norman in the senior baseball league. Ron was always working toward the betterment of his community. He became involved with the Norman Community Club and was one of a group that was instrumental in constructing the first Community Club building and developing the Norman Beach. He initiated the cub and scout program as well as minor hockey teams in Norman. After a short illness he passed away in Kenora on January 16th, 1930. Winnifred Oliver Baker b. 29 Feb. 1881Rat Portage, married John William Walker and died in Fort Frances 26 Jan 1954. Two more sons Robert and Allan were born and died presumably between 1881 and 1891. The family moved to Rat Portage in 1879 where he established the Baker & Co. General store and managed the store known as "One Price Cash Store" selling everything from pins to stoves. William Baker came to work shortly after each morning and was always last to leave at night. He did his own booking, helped wait on people when needed. He wrote his own advertisements putting them in envelopes and sending them to customers with their parcels. Fred Canniff in charge of dry goods, John Dalziel in charge groceries and Mr Pugsley. In time Canniff left to work for Jacob Hose in Keewatin and was replaced by a Mr Kyle Baker paid for Kyle family to move from down east to Rat Portage. When William Baker died in 1888 Kyle was made manager of the store which was sold to Smith Brothers and subsequently became a cafe, pool room, tin shop and taxi office and later being torn down and the lot made into part of a park. Mr baker and Frank Gardner were responsible for the early schools established in Rat Portage. They made personal appeals for funds to carry on their work. Mr Baker was the first Reeve of the Township of Rat Portage in 1883. Mr Baker died 20 Dec 1888 in Rat Portage. His wife in Rat Portage on 18 Oct 1902. George Barnes was born in Wellington, Prince Edward County on the Bay of Quinte in September 1854 (According to January 8 1939 newspaper report on the occasion of his death and the 1911 Census, June 9 1901. He first came to Rat Portage in 1871 via the Dawson trail when Rat Portage was only a Hudson Bay Post. He spent a couple of years running the Maline Portage Stopping House, North of the Rainy River before moving back to Belleville where he settled for a time. In 1873 he moved to Belleville, then to Toronto where he remained until 1876. In 1876 he moved to Parry Sound to work with the Parry Sound Lumber Company. In 1880 he moved to Rapid City Manitoba where he owned land and farmed until 1882 when he moved to Rat Portage. In Rat Portage he resided in a house on the west side of Matheson Street and worked as the tie and wood inspector for the CPR. When the CPR office was closed he had a one story building build on Hennipen Lane and operated a grocery store. In 1886 he closed the grocery store and used the building as a home. He and his brother Howard opened the K Furniture store on Second Street. His business extended to all areas of Rainy River and Lake of the Woods District. The Town's first undertaking parlour was ran in the back of the store. In 1897 he sold to Horn and Taylor. He served on the Town Council in 1886 and was elected mayor in 1895. He was unseated as a result of accusations on "corrupt Practices" and D.H. Currie served for the remainder of the year until a new election was called. He was re-elected in this election in 1896. During his reign several parks were created including, Kenora Park on Town Island, Central Park and the Park South of the Lake of the Woods Cemetery afterwards occupied by the Paper Mill. The site of the Kenora General Hospital was purchased and the hospital built. He served on the first board of the Jubilee Hospital in 1897. He also served as fire chief for three years in the 1890s and was a member of the Fire Department for several years. In 1912 he was appointed collector of customs at the Port of Kenora, a flourishing port engaged in logging, fishing and the flour industry. He served the first Noble Grand and the first District Grand Master of the Gold Hill Lodge. He was greatly revered by that fraternal order and was instrumental in its early growth. He moved from Kenora to Edmonton for a short time before ending up in Toronto. He died by a January 7 1935. His second wife predeceased him by a few years. Ralph Bateman, son of Collingwood Bateman and Mary Sugden and was born March 21 1880 in Goole, Yorkshire, England. He immigrated to Canada in March 1905 settling in Ottawa. He married Olive Ellen McCreery in Ottawa, June 10 1908. He moved to Kenora by 1911 where he began a 37 year career with the Keewatin Lumber Company and its subsidiaries. Upon his return to Canada, he resumed his position at the Keewatin Lumber Company. He was put in charge of the old Rat Portage Company. He was was put in charge of their new office building on the lake front overseeing the rapidly expanding box manufacturing business. In 1923 he moved to the Winnipeg office of the Company. He returned to Kenora in 1936 as manager of the paper mill from 1936 to 1944. At his death on May 3rd 1947 he was the resident Vice President of the Ontario Minnesota Pulp and Paper Company. He was a member of the Kenora Board of Trade.. He was a member of St Alban's Cathedral and a member of the Masonic Lodge associated with the Builder's Lodge of Ottawa. Also an active member of the Kenora Rotary Club and president in 1941-42. He died May 3 1947. He is buried in the Lake of the Woods Cemetery. George "Geordie" Thomas Beatty, son of George A Beatty and Jane "Jennie" Box was born August 3 1898. He married Marjorie Ann Ferguson September 26, 1923 in Kenora Ontario. They had one daughter Phyllis. He joined Rotary on February 9 1948. Dr. Beatty graduated from Medical School in 1896. He open his practice in Keewatin in 1897 Before long he opened a hospital. Behind the hospital was a windmill that pumped water from the lake into a tank in the top story . Doctor Beatty died on 23 Aug. 1930 in Kenora, Ontario. Joseph Beaudro, son of Jean Baptist Beaudreau and Eleonore Daunais, was born 15 Mar 1846 in Quebec. Rocque Francis Beaudro, son of Joseph Beaudro and Sarah Leger, was born on February 29, 1884 in Red Lake Falls, Minnesota. In 1887 at the age of three, his family moved first to Fort William, Ontario and then Rat Portage. As a child, "Roxy " took a passionate interest in hockey and other sports such as rowing and rowed and baseball. The local hockey team "The Thistles" had developed a winning team and won the 1902-03 Manitoba and Northeastern Hockey Association title and issued a challenge for the famed trophy of senior hockey, the Stanley Cup. Roxy, who had just turned 19 years of age, played right wing in the March 1903 challenge series against the Ottawa Silver Seven. In 1906 Roxy and the Kenora players went pro. In 1907 the Thistles challenged the Montreal Wanderers. In 1907 he scored the Stanley Cup game winning goal. He retired at the end of the hockey season. In 1982 the the 1907 Kenora Thistles team was named to the Northwest Ontario Sports Hall of Fame. Roxy married Mabel Louise Goodman in 27 August of 1907 in Winnipeg, Manitoba where he moved but subsequently moving on to Cochrane, Ontario where his son Earl Laurier Beaudro was born in 09 Jan 1909. Roxy took on a job as an accountant for the government. In 1915 he enlisted in the Canadian Army and played with the 28th Battalion's Royal Fusiliers In early February of 1917, the order came to be shipped overseas and Roxy saw extended combat duty during the war. Following the war he raised a family living at various times in Winnipeg, Cochrane, and Thunder Bay, and then Toronto. Roxy Beaudro died on February 10, 1960 in Barrie, Ontario after a short battle with cancer. He was 75. Genealogy Note: Roxy's father's name and family name appears at various times on census and other records indexed as Beaudre or Biadio. Buried at: Noeux-Les-Mines Communal Cemetery Extension., France Plot: II. A. 19. Hattie Begg b. 10 Aug 1893 ( m. Battel) D ? He enlisted in February 1916, Service number 199066. He served with 43rd. He was reported missing in action on Oct 8 1916 in the Somme offensive and subsequently confirmed deceased. From the War Diary for the 43rd Battalion: In the attack on Regina Trench 8 October 1916 there were 2 officers killed, 2 wounded, 4 missing; other ranks 8 killed, 224 wounded, 120 missing. From James's CEF burial register: "Previously reported missing, now for official purposes presumed to have died." For every famous pioneer whose success is supported by volumes of historical document, there were untold thousands of ordinary pioneers who sought to make a better life in what is now Canada. Though their struggles were not, on the whole , imprinted on the nation's collective memory, such pioneers made contributions far out of proportions to their position. There are untold numbers who should receive recognition for their goodness, their hard work and at times their sacrifice and compassion. Two such pioneer that I would like to sing the praises are Catherine (Spence) Begg and her daughter Margaret (Begg) Mitchell. Catherine's father was George Spence (1773-1859) who came from the Orkneys. Her mother, a Cree woman Catherine Tchi-Tchit. George was possibly born around 1773 was an officer of the Hudson Bay Company and in latter years, Sheriff of the York Factory District. It isn't known when George ceased to be an employee of Hudson Bay but it may be that he was part of the advanced party to prepare for settlers of the District of Assiniboia and Lord Selkirk's Settlers. George and Catherine were married on May 2 1828 at St Johns (Winnipeg) in the first Anglican Church built in the area. They moved to Mapleton just north of the Fort at Lower Fort Garry. George Spence died in 1859 and Catherine in 1865. Margaret (Begg) Mitchell's father, Charles Robert Begg was born in Haddington, Scotland in Feb 14 1814 and was engaged by Hudson Bay on May 12 1831 on Wyre Isle, Sandwick, Orkneys and arrived at Montreal. For 5 years he worked in the company's Northern department as a labourer. He participated in the historic Arctic Discovery Expedition and after the expedition in 1840 became a crew member of a sloop which brought him to Lower Fort Garry. In 1841 he was assigned to the Red River District. In 1844 at about 30 years he met and married the 21 year old Catherine Spence, eldest daughter of George and Catherine Spence on May 16 1844. Soon after their marriage Charles was promoted to Sloop Master and was sent to work in Lake Superior in the Company's Southern Department. Catherine and Charles moved around Northern Ontario including 10 years at the Pic River Post. They had a total of 9 children of which the fourth, Margaret Begg was born on January 10th or 11th 1852. In 1862 Charles decided to move his family back to the home community of his wife Mapleton where they built on River Lot 5. Unfortunately their house was flooded out and the family returned to Pic (Red River). In 1865 Charles retired from Hudson Bay Company and returned to Mapleton. There, Margaret met and married George Mitchell. George Mitchell was born around 1849 in Coventry, Warwickshire County, England. He was involved in the battlefield of the Louis Riel Rebellion and almost died. His wife Margaret found him and carried him to her home some distant away. William Mitchell b. 08 Aug 1885 in Rat Portage. He served almost 4 years overseas in World War 1. He joined the staff of the newspaper in 1901 and except for the war years, worked with Miner and News until his retirement. It is currently believed that he married Margaret Mildrum Irvine overseas, although I can not confirm this. Similarly I believe he had one son William and one Mrs Robertson but don't know which Mrs Robertson this was. Hopefully a reader will be able to help out with additional information. In Rat Portage, George served as an accountant with J.K Brydon until his death in 1893. He was one of the gang who helped decorate the Devil's head in the Gap. In 1894 Mrs Mitchell and her elder children built a home at 402 Second Street South. Three generations lived there subsequently. Mrs Mitchell died in Vancouver in 1944 at the age of 1944. Charles Wiggins Belyea, son of William Benjamin Belyea and Mary Elizabeth Jane Whelpley, was born in New Brunswick November 19 1857. He arrived in Rat Portage in 1884. He came to Rat Portage as inspector for CPR telegraphs with responsibility to maintain telegraph wires. He subsequently worked as a linesman on the CPR. Later he was engaged in the insurance business and as well an agent of the Marine Department. He served as Councilor in 1892,93,94,96,98,99,1901,1904,1905, and as Mayor in 1907. He was a member of the first Rat Portage band formed in 1886. He was a member of the curling Club. He belonged to the St. Alban Cathedral. He served on the Board of Directors of the Western Algoma Brick company. He was chair of the Board of Education. He held high offices in the Board of Trade. He was a member of the Pequonga Masonic Lodge and a county master of the Orange Lodge. William Moore Dickson, son of Christian Benidickson and Gertrude Moore was born April 8 1911 in Dauphin, Manitoba. He attended public school in Dauphin, Kelvin High School in Winnipeg and Humberside C.I. in Toronto. He returned to Winnipeg to study at the University of Manitoba where he graduated with a B.A and LLB. He married Agnes Richardson November 29 1947. During World War 2 he served with the R.C.A.F. achieving the rank of Wing Commander. In 1937 he was called to the Manitoba Bar and shortly after the Ontario Bar. He practiced law in Kenora. He was a member and Life member of the Kenora Legion. He was Honourary Solicitor of the Kenora Trades and Labour Council. He was elected to the House of Commerce for Kenora Rainey River in 1945 and re-elected 1919, 1953, 1957, 1958, 1962, and 1963 as a Liberal-Labour Member. He held the position of Parliamentary Assistant to the Minister of Transport Jan 4 1950 to September 13 1953, Parliamentary Assistant to the Minister of Finance October 14 1953 to April 12 1957. He served as Chief Financial critic for the Liberal Opposition from 1957 to 1963. He was appointed Member of the Privy Council April 22 1963, Minister of Mines and Technical Services April 22 1963 to July 6 1965 and called to the senate July 7 1965. His father was born in Iceland and he was chosen to represent Canada as Canada's official representative at the inauguration of the new \president of Iceland in July 1952. In 1960nhe was elected vice president of the Canadian branch of the Commonwealth Parliamentary Association . August Bergman was born in Lulea, Sweden in July 1879. He learned the building trade in Sweden. He immigrated to Canada in 1910. He was employed by the Keewatin Lumber Company at the Norman sawmill. In 1916 he formed a partnership with Godfrey Nelson. under the firm name Bergman and Nelson. He died July 12 1940. Charles Albin Bergman, son of August Petrus Bergman and Ida Alsson, was born in Kenora on February 20 1912. Following his graduation with his commercial Diploma he started to work as a clerk and junior accountant with Bergman and Nelson. He worked nights for three years with R.J. Rose the municipal accountant He eventually took over the accounting of the store during the Depression years. He was promoted to General Manager of Bergman and Nelson in July 1940 on the death of his father. He married Ethel Lindstrom on May 25 1936. They had one son Barton C Bergman who became principal of Beaver Brae High School. He was active in sports of rowing, wrestling and hockey until 1935l. He was a member of the Kinsmen and Rotary Club joining Rotary May 2 1959. He was a member of the Bethesda Lutheran Church. He served on the Kenora Town Council from 1938 to 1942. After the death of his father he left municipal politics until he was elected Mayor from 1960 to 1963. During his term water service was put into Norman, the General Hospital was expanded and a new system of garbage disposal was set up in the town. He was a Lieutenant for several years in the Reserve Artillery. He died some time after 1977. Dr Beveridge was born in Nova Scotia. A proud supporter of the Acadia Axemen, Dr. Jim Beveridge completed his under grad at Acadia University 1971in Nova Scotia and upon completion of his BSc., decided to work for his M.D. at Queen's University. He specialized in Family Medicine, Obstetrics and C-Sections, Cancer Chemotherapy,Palliative Care and Pain Management at the Lake of the Woods District Hospital Medical Office. His office was located at the Paterson Medical Clinic, 45 Wolsley Street Kenora, Ontario P9N 3W7. Dr. Beveridge enjoys golfing, boating, skiing, reading and playing bridge. Pete Billings son of Roy and Renee Billings was born in 1930. He graduated from Queen's University in 1954 and worked for the Ontario Ministry of Transportation as an engineer for over 35 years. He served as District Engineer out of Kenora for several years. His first wife Kaireen "Kay" Billings predeceased him and he subsequently married Linda Thatcher. Pete joined Rotary February 24 1969. He loved to garden, golf, play billiards and curl. He was a longtime member of Health One (Fitness Inst). He passed away unexpectedly, as the result of a fall, on Sunday, September 22, 2013, at the age of 83 in Mississauga..
John Black, son of William Black and Susan Miller was born in Abbingdon, Niagara Region, Ontario on 12 February 1874. He married Rose Jane Nichol in Haldimand County on 12 September 1905. He was living in Kenora at least by the birth of his first daughter on August 26 1996. and on the 1921 census where his occupation was described as engineer. In 1921 he was appointed to the Kenora Board of Health. Emile Victor Blouin, son of Antonio and Louisa Blouin, was born 6 May 1926 in Quebec City. He had four siblings, Raymond, Jacques, Jules, Lois and Cecile. He passed away in Kenora on January 16, 2017 three months after losing his wife Ann 58 years. He moved to Toronto at 6 years. He was educated in Toronto and eventually attain his BA at University of Toronto. He supported himself through his university years as a house painter, a deckhand on a Great Lakes boat, a logger, and a farmhand. He taught 33 years, teaching French, Spanish, English and Phys Ed. He also coached track teams and formed a Drama Club. He taught in Midland, Parkhill and Ailsa Craig, and Kenora, Ontario. In 1959, moved to Kenora. He retired in 1986. He was athletic. He wrote beautiful poetry, in both English and French, and faithfully kept a journal, having recorded tidbits of his life in 60 volumes. He was also a world traveler, both in his youth and as a tour host for many trips with the Retired Teachers of Ontario. He married Anna Gillies in 1958. She was born 19 November 1921 to her parents Archie and Valetta (Potter) Gillies in Ailsa Craig, a little town outside London, Ontario. She grew up in Ailsa Craig with her sisters Isabelle and Olive (Walter/Albert), brother Hughie (Dorothy). She taught school at Ailsa Craig, Strathroy and London, until 1959 moving to Kenora with her husband. She was an avid supporter of music, arts, and culture. She volunteered her time for the Kenora Festival of the Arts and Royal Conservatory of Music exams, for Lake of the Woods Concert Group. She was a bell ringer with Sunset Country Bell Ringers and Quartet. She also enjoyed her exercise classes with all the fun ladies at the New Horizons Seniors Centre. She passed away in Kenora, October 10, 2016 On October 10, 2016 Anna (Gillies) Blouin just short of her 95th birthday. … There is no compensation For your absence. No song, no incantation To conjure your essence. There is no mirth yet right To cleanse my heart Of heavy yearning, say despair, For your touch, your sight - No substitute can repair. There is no seasoning Will soothe my taste For the hallowed touch. No maturity nor reasoning, Lighten this waste Of eternal time's passing. Dr Brian Bowerman was born in Sarnia Ontario. He graduated in 1984 from the University of Manitoba, with a BSc and MD. He has a general practice of Medicine located at Paterson Medical Clinic, 45 Wolsley Street Kenora, Ontario P9N 3W7 and has also served at Minaki Nursing Station, and Birchwood Terrace Nursing Home. Dr Brian Bowerman decided on Kenora because of its proximity to Winnipeg, Manitoba. He finds that Kenora is special in that it is surrounded by nature and maintains a small town feel. His hobbies include computers, cycling and cooking. John Horace Bowack, son of John Henry Bowack and Rebecca Elizabeth Shimmen was born in Winnipeg April 26 1921. He lived at 1564 Ross Street, Winnipeg from 1821 through to 1968. Sometime between that date and 1972 he moved to Kenora. He was employed at Town and Country Home Furniture. John joined Rotary July 8 1972 and served for many years as piano player for opening ceremonies. He married his wife Myrtle and had one daughter Linda. Myrtle predeceased him on March 19 2000. Ruth Bowiec was born Ruth Jessica McArthur on April 23 1934 in Winnipeg to James McArthur and Alma Kinch. At the tender age of one and her mother pregnant with her second child Ruth and her mother left Winnipeg for Kenora. Her mother subsequently married Robert C Tait from Keewatin. Ruth was adopted at the age of eight by her step father. She attended Central School and then Lakewood High School and then attended two years at the Kenora Business College located o the second floor of the Bank of Nova Scotia. In October 1968 she approached Stuart King, then owner of the Kenora and Miner and News with the suggestion that she be hired to be the papers first Social Columnist. She was hired the next day on a 6 month trial basis at the sum of $33.oo. Her salary was doubled to $66.00 by the end of the month. Since then she has interviewed Governor Generals, Prime Ministers, Premiers, ambassadors as well as many local Kenora residents. She has attended Services Clubs, curling and golfing events, Legion Special meetings and various diverse meetings and publicity events. Her columns are often the first item read by her adoring fans in the Tri-municipal area. She has received several awards for her column and news coverage which often was the first item read by her fans. In May 1985 she received the Edward Dunlop Award of Excellence for a six part series on Immigrants to the Kenora area during or prior to the Depression years. On March 26 1992 the Kenora Miner and Newspaper presented Ruth with their "We're proud of You" Award for outstanding coverage of every aspect of social, sports, organizational, and group events during course of her career at a grand gala at the Lake of the Woods Museum. The Ontario Provincial Police honoured her with an Award of Merit certificate for her coverage of provincial police work in the Kenora area. She was also recognized by Crime Stoppers, Kenora Toastmasters, Business & Professional Women, Kenora Legion Auxiliary Branch 12. Kenora Lions and Knights of Columbus and Beta Sigma Phi Sorority for her work as a reporter. She retired in 2004 after 35 years of service. She was a member of New Horizons, Ontario Senior Coalition and served on the Ontario Seniors Board of Directors representing Kenora Seniors. She served on the Kenora Accessibility Committee and Pinecrest Family Council. She served as a volunteer for The Kenora Alzheimer Society, the Lake of the Woods Museum, Kenora Crime Stoppers, and the Kenora Retired Railroaders. She was a member of the Kenora's Accessibility Advisory Committee. She was a member and received an Honourary Life Award from the Hospital Auxiliary and active in her Church and Catholic Women's League who also recognized her with an Honourary Life Award. Her "Tea with Ruth Bowiec" auction items were a perennial favorite at Annual Rotary Actions assisting to raise money for various Rotary projects in the Kenora area. Arthur Cyril Boyce, son of Reverent John Cox Boyce and Mary Anne Blick was born 12 September 1867 in Wakefield, Yorkshire, England. He received his early education in private schools in Wakefield, York and Carlisle England. He came to Canada in 1884 and worked in a law office in Port Arthur. He was called to he Bar in 1890. He carried on a practice at Port Arthur for two years. The Boyces moved to Rat Portage in 1893. He practiced law in Rat Portage for 11 years. Later George Draper joined to form the partnership of Boyce and Draper. In 1895-96 he served as honourary vice-president of Rat Portage's first hockey team. In 1903 Mr Boyce and his family moved to Sault Ste Marie. There he entered a firm know as Kehoe, Boyce and McPhail. Boyce ran as a conservative in 1896 and 1900 and eventually got elected as a Liberal-Conservative in 1904 was elected to the House of Commons as representative of Algoma West. He was reelected in 1908 and 1911. In 1906 he was appointed a King Councilor In 1910 he was appointed Chancellor of the Diocese of Algoma. In 1913 an honourary Doctor of Civil Law was conferred on him by Bishop's College in Lennoxville, Quebec. In 1914 he was elected to the Fellow Royal Colonial Institute . From 1917 to 1927 he was a member of the Board of Railway Commissioners. He was a member of the Board of Governors at Trinity College in Toronto. He held the Rank of Honourary Lieutenant-Colonel with 51st Sault Ste. Marie Rifles. He practiced law in Ottawa. A.C. Boyce died in Toronto 4 August 1942. John Brenchley, was born in Kent County, England around 1859. He came to Rat Portage around 1882. He resided in the Commercial Hotel (Kenwood) He was a "fitter" mechanic employed by the CPR. He became president of the Western Algoma Brick Company in 1893. He served on the Rat Portage Town Council in 1897 and from 1919 to 1923. He served as mayor from 1924 and 1925. He died in Kenora August 31 1948. He was an active member of the Pequonga Lodge and treasurer for over 30 years. He was a member of the Gold Lodge and Trustee for many years, a member of Golden Chapter no 90. He was a patron of the Eastern Star. He was a member of Kenora Hospital Board. He was a member of the Lake of the Woods Machinist Lodge. He was an active member of the Cemetery Board. Captain James Westropp Brereton was born in 1830 in Bantry Bay, Cork County, Ireland. He served an apprenticeship as solicitor but never practiced. He served as a sub-inspector with the Royal Irish Constabulary in Limerick. Robina (Ina) Elizabeth Margaretta Brereton (Glass) 1874-1956. The family moved to Toronto in 1877 and then on to Winnipeg. On December 20 1878 he was appointed Commissioner of Police within Ontario and Manitoba. His appointment was for "all the territory within the municipality of Rat Portage and for territory alongside of the Pacific Railway in disputed and extending for a quarter of a mile on side of the railway otherwise known as the Canadian Pacific". They left for Manitoba traveling through Detroit, Chicago and finally arrived in Winnipeg on April 13 1879. From 1878 to 1884 he was Dominion Commissioner of Police from Winnipeg to Eagle River and then Winnipeg to Rat Portage. He was regarded as the first magistrate of Rat Portage. The family settled in a 42.830 acre site described as part of section 17, township 10, range 17, east of the principle meridian, bounded by th shore of Cross Lake and on the south by the road allowance between section 8 and 17 and is now part of the Whiteshell Provincial Park. The family had various visitors including Sir Charles Tupper. He rested the Breretons on 4 November 1880 and on November 5 traveled with them to Selkirk, Manitoba. On Sunday 7 November they dined with Sir Charles at Government House. Relations with his wife became strained. In an entry to his diary on 18 August 1897 he noted 'Wife deserted me, Brereton Point' In April 1888 he received a letter advising him that Mrs Brereton had been granted a divorce (08/09/1887 in Yankton, South Dekota.) She married Lionel C. Smallwood on 2 June 1888 at Holy Trinity Church, Jersey City. He remarried Hannah Francis Lucas from whom he was separated in 1897. He acquired a piece of land on Coney Island known as Brereton's Point. In 1904 he took up residency at St Joseph hospital and remained there until his death in 1911. He died in Kenora on 9 February 1911 and was interred in the Lake of the Woods cemetery on February 11 1911. In 1887 he moved to Rat Portage where he became engaged in grocery and feed business store located on Second street between Matheson and Chipman St. The Business became largest dealer in flour, feed and provisions - latter he established business known as Brett Elevator Company. He served on Town Council 1908-1911, Mayor of Kenora 1912-14. He was a strong supporter of Laurier and the liberal party. He was a Charter member of Rotary Club,and held attendance record for many years. He was president of the Kenora Rotary Club in 1927-28. He was President of trade and served on Board of Education. He was instrumental in the establishment of the pulp and paper business. Construction of mill began in 1921 and began operating in 1924. He spent his summers at summer cottage at Point Alymer. He is believed to have passed away August 8 1941. Matthias was born in Heidelberg, Germany in 1964. He had early travels to China (his father was exchange professor in Shanghai in 1981/1982 and Beijing 1984-1989). He attended University of Heidelberg between 1980-1985 graduating with a Bachelor of Science and University of Massachusetts in 1985-1986 for graduate studies in Zoology . He graduated with his Master's Degree from University of Heidelberg in 1989 (Biology). 2001-Present: Ph.D. Thesis (Aggression in Bears) – University of Heidelberg. After receiving his graduate degree, he had extended stays in Alaska (1990/1991) and Australia (Northern Territory 1992/1993, he traveled all over Australia in late 1991 and early 1992). These extended stays resulted in two books on request of the respective National Park Services. Matthias has lived and worked permanently in Alaska and Canada since 1994. Since 1994 he has written several books on the natural wonders of Alaska, Canada and Australia which have been translated into 7 languages. His website at http://breiterphoto.com/ lists his various publications including thirteen books. He is married to Laura Sneider and has three daughters who reside in Kenora Ontario. He continues to conduct research and is presently finishing his Ph.D. thesis on aggression in bears. 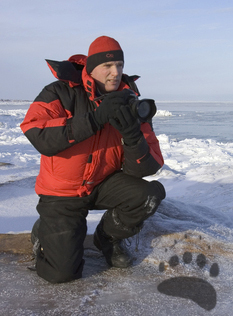 He is also deeply involved with conservation efforts involving the American and Canadian Arctic and Subarctic. He is a founding member and fellow of the International League of Conservation Photographers (ILCP). Grace Jean Brown , 31 Jan 1897 in Rat Portage (Kenora) d. 8 Feb 1904 buried in Lake of the Woods Cemetery in Kenora. Mathew was a lumberman in Rat Portage. He ran unsuccessfully in the 1901 municipal Election. He is buried in Lake of the Woods cemetery with inscription of 1855 - 1907. In 1921 Mrs Brown is listed as being with her son Mathew S. Brown's family in Langdon Village, Shepard Municipality, Alberta along with her 88 year old mother Sarah. He started working at KFC in Portage la Prairie at the age of 14. In 1970 he and Faith moved to Kenora where he ultimately owned and operated the local KFC. He was known in Kenora for his support for Snowarama and the Crippled Childrens Association. On November 11 2011 In a moving tribute to the late Tory Brydges, his son Shane accepted a certificate of appreciation from the City of Kenora, in recognition of a lifelong dedication to volunteerism on all levels. The list included scouts, powwows, fish derbies and the agricultural society. Gerard Brimble, son of James Brimble and Rebecca Tiplin was born in Cardiff Wales on May 5 1894. In 1905 the family emigrated to Canada and settled in Kenora. The 1911 census show the family residing at 531 4th St. N.
Gerard received his education in Kenora and then attended Normal school to become a teacher. He served overseas in World War 1 returning in 1919. He maintained his interest in military matters. He taught at the Kenora High School and then became supervising principle of all Public Schools in Kenora. When King George School was built he was appointed Principle. He retired in 1955. He served on the Library Board, the Kenora Housing Authority, the Search and Rescue Squad, Knox United Church, the Gideons, Kenora Camp and the Canadian Legion. He died on November 28 1965 in Kenora. He is buried in Lake of the Woods Cemetery. His wife died February 8 1968. They are buried in Lake of the Woods Cemetery. George Brunsel, son of Angus and Elizabeth Brunsel was born in St Clement (Selkirk) Manitoba on Feb 17 1873. He came to Rat Portage in 1879. He operated the first boat building company in Rat Portage with his brother Neil located on the lakefront between Main and Matherson street. Between 1899 and 1904 the company build many boats including the Daystar, the Wanderer and the Helen S. The business ended with a fire in October 1904. In 1906 it was purchased by Robert J. Parrott. Subsequently the business was operated by Gus Anderson 1929, who in turn sold to J.W Stone in 1934. The Brunsel family lived at 801 Fourth St. North, Kenora. John Kerr Brydon was born 28 Jun. 1847 in Dunfirmline, Scotland. He settled first in Toronto. He moved to Rat Portage in May 1882. He opened an office in the Masonic Hall block and established himself as a solicitor, conveyancer and notary Public. In 1883 he had a house built on the North side of First Street South. He married Mary Charlotte Compton in York, Ontario in 10 Aug. 1886. She was born 30 Jun. 1850 in York, Ontario. They had three children. It has been suggested that when the flour milling town and the gold mining center are united the names of the two places should be amalgamated also. 'Keewortage' sounds too much like the name of a hard dermatological excrescence and 'Ratwatin' is simply ludicrous. There seems no way out of the difficulty except to call the new city 'Brydonstown' or ville or better still, Brydon'. But perhaps Mr. Brydon wouldn't like it. John Robert Bunn, son of Thomas Bunn and Isabella Clouston was born at the Red River Settlement on August 26 1855. He went to work for the Hudson Bay Company until 1884 when he went into general mercantile business. He resumed work with Hudson Bay Company in 1890 and remained until 1901 when he again went into business for himself. In April 1912 he was appointed inspector of Indian agencies for the lake Winnipeg Inspectorate. Samuel Martin Burris, son of William Norman Burris and Ann Kerr Guild, was born on December 4 1904 in Stewiacke, Nova Scotia. He grew up in Nova Scotia graduating from school at age 16 and headed west to Alberta. He attended and graduated from University of Alberta Medical school in 1928. He moved to Bayfield, Huron County where he first practiced medicine. He subsequently moved to become a mine Doctor in the Patricia District and then to Sioux Lookout. In about 1941 he enlisted with the Canadian Army and served to November 1945. He moved to Kenora in 1946. He was active in the Kenora Armories in his early years in Kenora. He was active in his church, Knox United. He served as Chairmen of the Local School Board from around 1959. He died March 16 1991. Edgerton Wellington Byers, eleventh child of twelve of William Byers and Sarah Ann Francey was born in Bailieboro, Township of Cavan, near Peterborough Ontario on July 11 1882. James Claude Byers born Nov 06, 1907 died 1908 Rouleau, Sask. Guy Reginald Byers born and died in 1911 Roulleau, Sask. By the 1911 census Edgerton and Emma were living in Rouleau, Saskatchewan. Edgerton was working as a teacher. He enlisted February 1 1916 in Moose Jaw and was posted to the 229th Battalion based in Moose Jaw. He was discharged May 7, 1917 due to "being surplus to requirements". By the 1921 Canada census Edgerton, Emma, Caryl and a niece Gertrude Byers were living in the hamlet of Moreland, Saskatchewan. His occupation is listed as a merchant of a general store. He taught school in Bridgeport (Waterloo), Rouleau, and Moose Jaw, Saskatchewan, Brandon, Manitoba and finally at the Cecilia Jeffrey Indian Residential School in Kenora, Ontario. He served as Principal there from 1929 to 1940. He served as a Councilor of Jeffrey Melick for two years, clerk for four years and then Reeve for eleven 1937- 1942; 1956-61; and in 1963. He was President of Kenora Rotary Club in the year 1938-39 and subsequent a District Governor for District 550 for the year 1949-50. Edgerton was a member of the Children's Aid Society, the Kenora Branch of the Canadian Legion, and the Kenora Agricultural Society. He was active in the First Presbyterian Church and Gideon Camp Kenora. In his early years he played hockey and was a member of the Kenora Lawn Bowling Club and Kenora Curling Club. He passed away on October 1 1978 in the Pinecrest Home for the Aged, Kenora, Edger and Emma Byers are buried in Lake of the Woods Cemetery in Kenora.